On Saturday, 21 November 2015, at Monte Argentario (Italy) Pasqualino Salini, Andrea Deidda, Gaetano Cagnazzo, André Pereira and Carlo Maria Romano received the Passionist habit. Terrorists were still carrying out their gruesome attacks in Paris last Friday when hashtags about praying for Paris started appearing in social media streams, along the lines of #PrayForParis. Our smartphones filmed the attacks and we turned to social media for updates in real time as the tragedy was unfolding, and it felt almost as if we were there. We experienced the fear, the anguish, and above all the powerlessness. This feeling of proximity left many of us feeling helpless, and so we sought to respond in some meaningful way. That meant many of us turned to prayer — even if it’s something we would never do in normal circumstances. When we are exposed to this level of brutality, we instinctively feel the need to get closer to one another. We cannot face this horror on our own. We need to rally. And the rallying cry this time was #PrayforParis. There was no other way to deal with this tragedy, it seemed, than through prayer. People sometimes tell me that they would like to pray, but that they don’t know where to start. The prayers they learned as children are either long forgotten, or they don’t seem to rise to the occasion, whether it is something as shocking as the attacks in Paris or even something closer to home, like an illness or death in the family. In these circumstances, however, it’s important to remember that prayer is more than prayers. That is, we might have forgotten prayers once known by heart, but in those trying times, we still gather together, light candles, sit with one another, keep silence, and offer hugs. These acts, which often come naturally to us in moments of grief or shock, are prayers. Today, of course, when confronted with challenging news, we might look for comforting or inspiring thoughts through our online communities, such as using a hashtag on Twitter or retweeting messages that speak to us. In these moments, these 140-character messages are our prayers. Others may listen to John Lennon’s “Imagine” once again, like we saw in the impromptu concerts in Paris, videos of which we’ve watched on YouTube. This melody connects our feelings and we imagine all the people, all of us in a world where we live as one. And so for many, this too is prayer. But that still leaves the question: What do these varied acts have in common that make them prayer? Many centuries ago, a monk compared prayer to a wheel. Those who pray are the spokes. Without prayer, we are at the outer edge, far from each other, lonely, perhaps unreachable. But then we may turn to God, just as the spokes converge towards the hub. And through this turning — prayer — we discover that the nearer we come to this hub, to God, the closer we become to each other. Prayer can make us one. Nobody is an expert in prayer. The apostle Paul himself tells us rather bluntly that we do not know how to pray. This thought is not meant to discourage us, but rather warn us not to rely on ourselves, on our feelings, or even on our skills when it comes to prayer. Prayer is like a flower that blossoms by itself at the right time and when the right conditions are gathered. This is the paradox at the center of prayer: it blossoms during moments of helplessness. When we feel powerless, when the shock and the horror appear bigger than what we can handle, when we do not know how to reach one another, we often find that prayer is the answer. We might not know what to say in prayer, but we may instantly find the right attitude ready inside us. We turn toward God, and we acknowledge that our help will have to come from him. And as we do this, as we turn to God, we get closer to each other. God might remain hidden and mysterious, but our coming together is real. Are we just fooling ourselves? Some people think so. Prayer does not change anything, they might say. But they miss the point. If they join in, it’s possible they will see — and feel — the miracle of prayer. That is, the miracle is prayer itself, the transformation of shock, fear, and loneliness into hope. Where events like the attacks in Paris might inspire hatred in us, prayer is the antidote, bringing peace. This peace is contrary to resignation. Prayer is not passivity, as the Dalai Lama seemed to suggest. Through prayer we gather our strength, we become a people. Our wounds do not turn into blind rage because, in prayer, we become able to face the evil, to keep our eyes open, and find where our power really lies. We do not need to create an enemy to soothe our anger, but we look at the evil inside us, we face our own complicity with it, and we start changing the world by committing to change ourselves. And we know it will work because we do it together, us, all the people. No words can console those who are struck by tragedies of these proportions. But prayer can. I woke up this morning here in Rome to the horrible news of the terrorist attacks in the different parts of Paris overnight. We are all shocked to hear of this barbaric act and senseless killing of so many people and leaving countless others injured and traumatised. 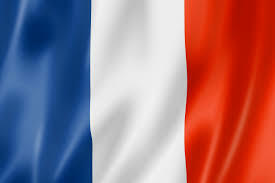 Paris is not very far from Rome and so we feel very close to you all in this time of anxiety and uncertainty. In particular, I remember with so much joy and contentment my visit there at Easter time this past year – including to other parts of France, of course. No doubt these attacks last night has affected you all in different ways and I know that you will all have great concerns for family, and especially the people you work with and serve through your ministries there. Hopefully no one you know has been killed or injured, but we know that everyone is affected by these acts of terrorism. I write these few lines to let you know that, you, and the people of France, are very much in my thoughts and prayers at this moment. You will all be remembered in our prayer and Masses in the community at the Generalate. In particular, our French Passionists are of the one Province of MAPRAES and can hope for a deeper sense of solidarity and fraternal support in this time of insecurity and concern. I encourage you to place your security in God at this time of need and offer to your people consolation and hope which we know is found in the Passion of Jesus.